154 years ago, the largest military conflict in North American history began when Union and Confederate forces collided at Gettysburg, Pennsylvania. The epic battle lasted three days and resulted in a retreat to Virginia by Robert E. Lee’s Army of Northern Virginia. Throughout my military career, and even still today, I am an avid consumer of military history. When it comes to the Battle at Gettysburg I have continually been awed by the decisions and actions of Colonel Joshua Chamberlain. I have read Michael Shaara’s Pulitzer-prize winning novel “The Killer Angels” and watched Jeff Daniels remarkably play Chamberlain in the movie “Gettysburg.” However it was not until I had the privilege of taking a group of my Marines to the actual battlefield that I truly understood this tragic conflict. 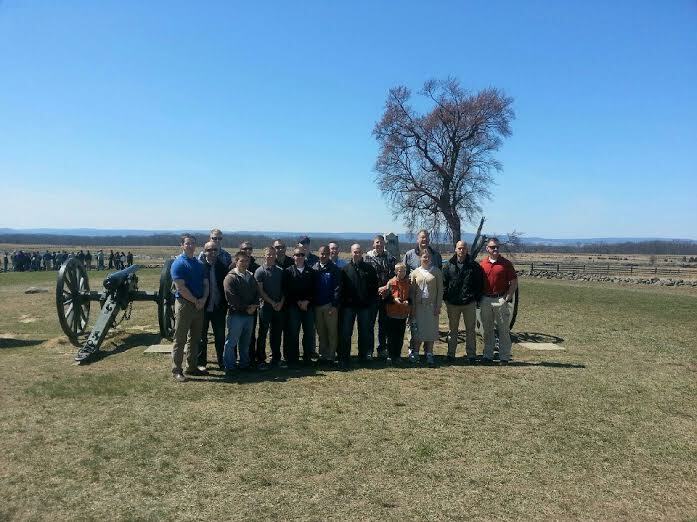 Together we climbed the slope of Little Round top and walked the path of Pickett’s Charge. We studied the defensive positions on Cemetery Hill and continually discussed the decision making of opposing Generals Lee and Meade. From human factors to combined arms, we immersed ourselves in the significance of this three day battle. It has been seven years since I was last at Gettysburg. I no longer view Chamberlain’s actions through the lens of a fighter leader. I now view his actions through the lens of a father leader. The battlefield I must now protect and hold is called my home. At stake is the hearts and minds of my wife and children. The world will continually tell my wife and children lies about their identity. They will be continually be presented with expectations that drown their worth. They will continually be attacked…. But like Chamberlain I will not back down. I will continue to love, lead and serve well. I will continue to point them to the Father who created us for His glory. I have always been amazed at how one man can change the course of a battle. Husbands and Fathers….more than ever before, I believe it is our duty to now do so. This entry was posted in Family, Leadership, Marine Corps, Marriage and tagged family, Gettysburg, leader. In my hands is the most feared weapon on earth. The Bible. Arm in arm I will march with you my brother. Strength and honor and all glory to God the father. Love your insight and wisdom. Grateful for your example as a servant leader!